Whether you are moving from an apartment, single family home or would like to move your stuff to a storage facility, BCB Moving has you covered from the greater Boston area to anywhere you need to go. Our team of movers will help make your move an easy process. Just sit back and relax and have our guys do the heavy lifting. If you need help preparing for your move and packing, just let us know. We can provide the packing materials to make it easy to properly pack and secure your belongings..
We are the business movers Boston area companies choose for their relocation needs. BCB Moving is a full-service office and commercial moving company. Our full line of services includes all facets of office moving services to fully relocate your office. As office movers, Boston area businesses have trusted us for their relocation and installation. Call 1339-224-4799 for more information. Looking for some extra help? We have a team of hardworking guys who can help with labor related tasks. 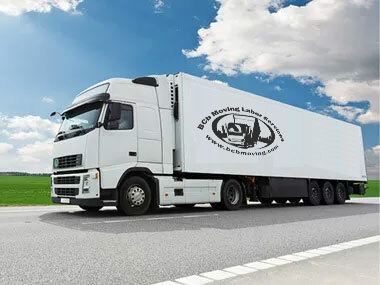 If you need help carrying out repetitive tasks, or move large amount of eqipment, contact BCB Moving & Labor Services today. BCB Moving & Labor Services prides itself on providing professional, efficient and affordable moving services to all cities in Massachusetts, and Southern New Hampshire. If you need to hire some help, we have hard working, friendly and professional laborers ready to get it done today. Do you just need help packing and preparing for your move? BCB Moving & Labor Services and provide pre-move consultation and make recommendations to help make the process easier. We can also provide packing and shipping materials such as boxes, crates and more. Contact us today to find out more.